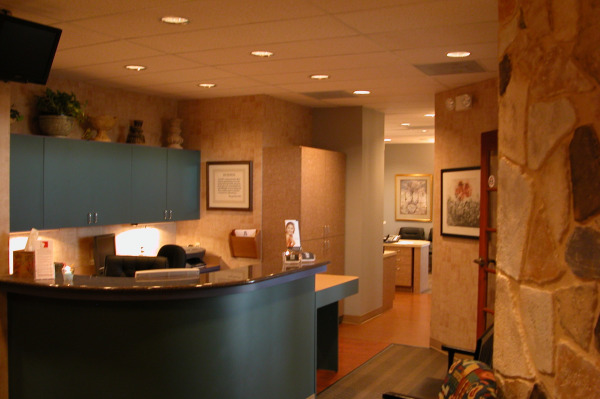 We are a Dallas, TX, general dental practice started by Dr. Swift in 1994 devoted to restoring, enhancing, and maintaining the natural beauty of your smile using conservative, state-of-the-art procedures that will result in beautiful, long lasting smiles! Our practice, doctors, and staff have received numerous awards that reflect our expertise in patient service, premium cosmetic and restorative dentistry, as well as dental implant and general dentistry services. These awards include the Consumer's Choice Award (2011 - 2017), Angie's List Super Service Award (2014 - 2016), and D Magazine's "Best of Dallas" multiple years for Cosmetic (2011, 2015, 2017) and Family (2013, 2016) Dentistry. As your dental health professionals, we want you to be confident knowing that we are a team of highly trained and skilled clinicians. We provide the high quality care you need to keep your smile healthy. To give you the best possible service and results, we are committed to continual education and learning. We attend dental lectures, meetings, and dental conventions to stay informed of new techniques, the latest products, and the newest equipment that a modern dental office can utilize to provide state-of-the-art dental care. Also, being members of various professional dental associations helps us to stay abreast of the changes and recommendations for our profession. Building a foundation of trust by treating our patients as special, unique individuals is vital to our success. We understand how uneasy some patients can feel about their dental visits, and we know that we can make a difference by providing a relaxing and positive experience. Our entire team is dedicated to providing you with excellent, personalized care and service to make your visits as comfortable and pleasant as possible. Customer Review	Aug, 2013 was my first visit. I was very pleased with the service. I did not have to wait long and the dental assistant Brandi was superb. I explained to her a problem I have about breathing and she tried to make me comfortable with her work so that the problem would not arise. Also, she was most gentle with her use of instruments during her work. I didn't feel an exertion of strength which might cause discomfort and/or pain. She was very good. Dr. Swift spoke to me at the end and I enjoyed her friendly matter, though I would have liked to have been able to speak to her more. She inspires confidence and I want to soak in that confidence and her skill and knowledge through conversation with her. Brandi did a lot of talking to me and that was informative and helpful in determining future course of action with my dental care. I will return because she is competent and good and Brandi is also and I hope she will treat me in the future.